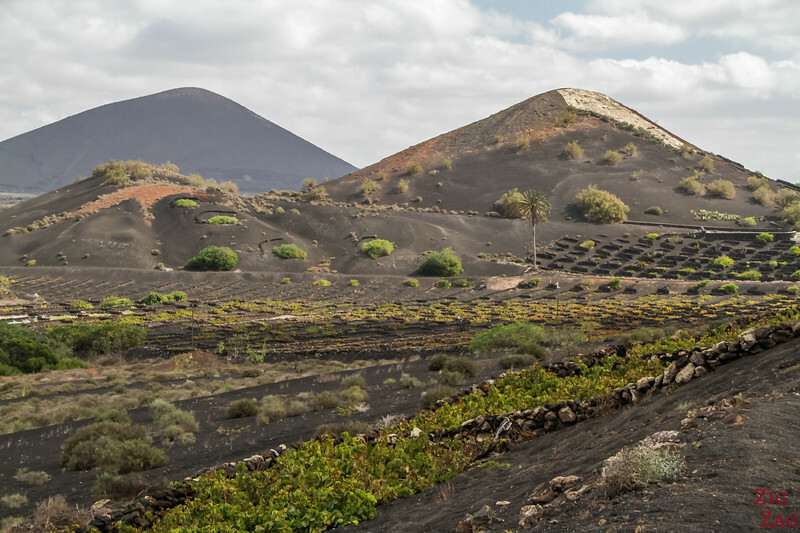 Visiting the Lanzarote vineyards is definitively one of the surprising activities to do on the island. 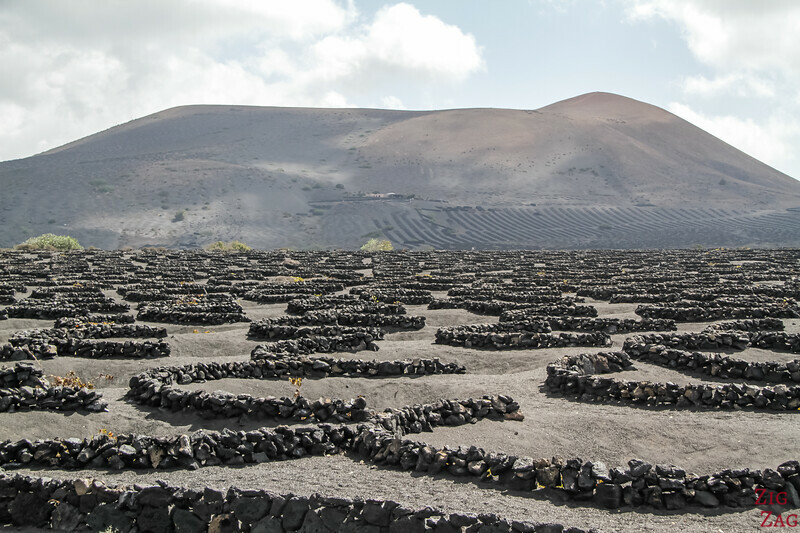 Considering the desert like conditions and the volcanic soil, it is fascinating to learn how the wineries have established the agriculture and prospered. 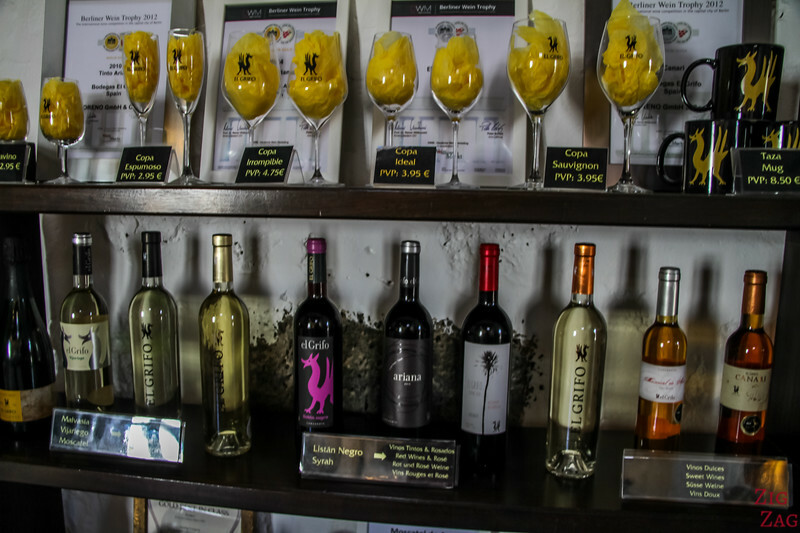 Here is my guide to help you plan your wine adventure including the famous La Geria wineries and the museum at El Grifo winery. 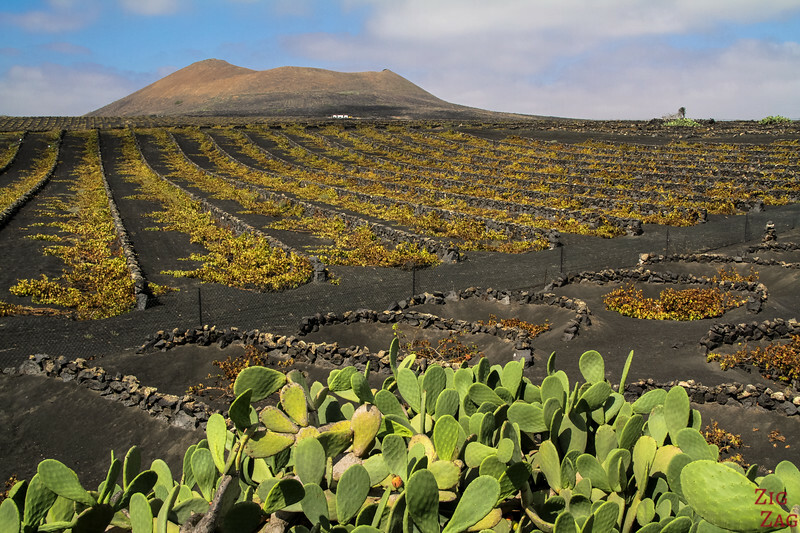 How does the wine grow on Lanzarote? Don't miss the them! 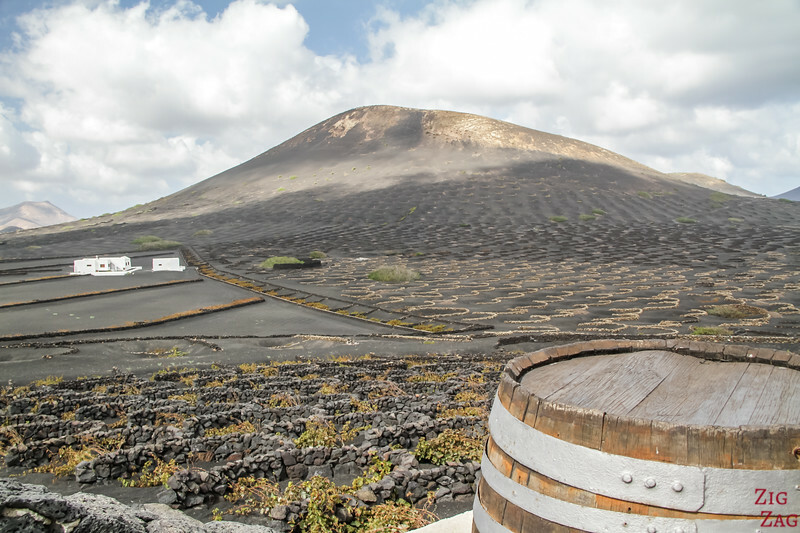 One of the top things to do in Lanzarote is discover the unique vineyards on the volcanic soil. Being French, I love the beautiful scenery created by vineyards. 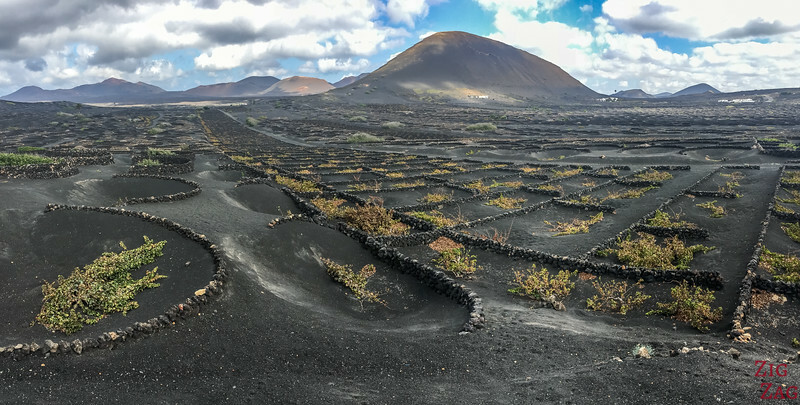 But on the island in Lanzarote, those lines of vines are pretty unique, especially when there is a volcano in the background! 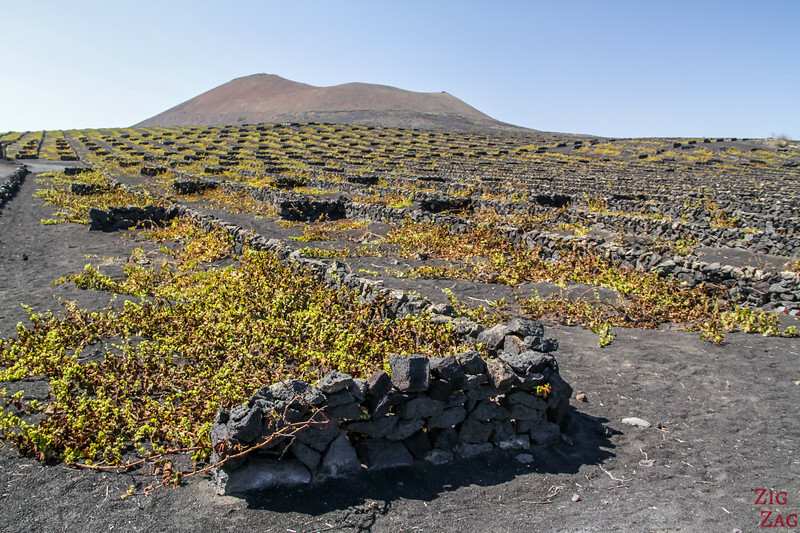 The Lanzarote vineyards are located mostly in the center of the island between volcanoes. It is quite impressive to see those plants growing on the black soil when there is nothing else around. I will explain in the next section how they are able to grow vines in such a harsh environment. But for the moment, I am just sharing a few more photos to show you how unique the views of those vines are. A pleasure to photograph! 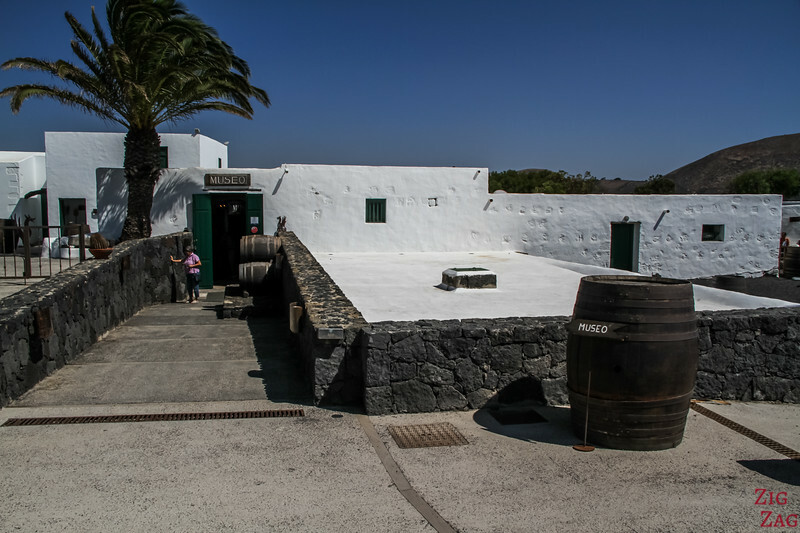 Before I tell you all about how to visit and experience this unique feature of Lanzarote, here is a summary about the technics used to make wine on the island. BARREN SOIL - The canary islands are of volcanic nature. 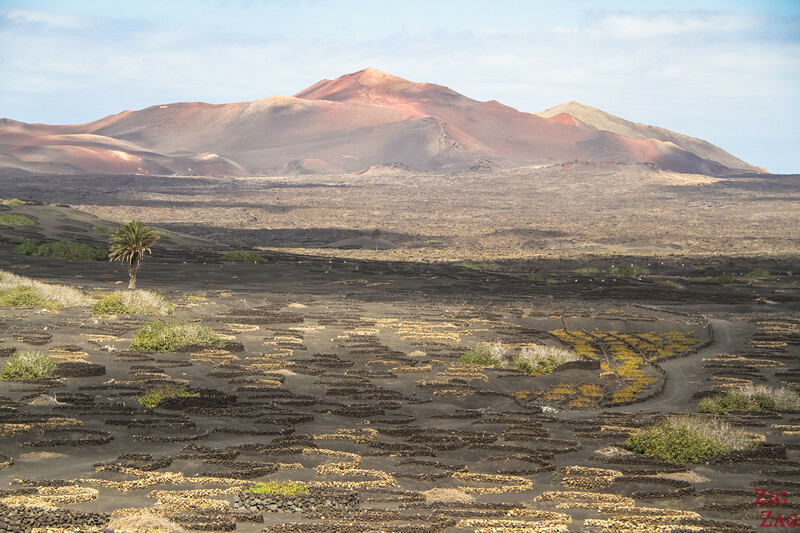 Lanzarote has has giant eruption as late as the 18th century and a small one in 1824. 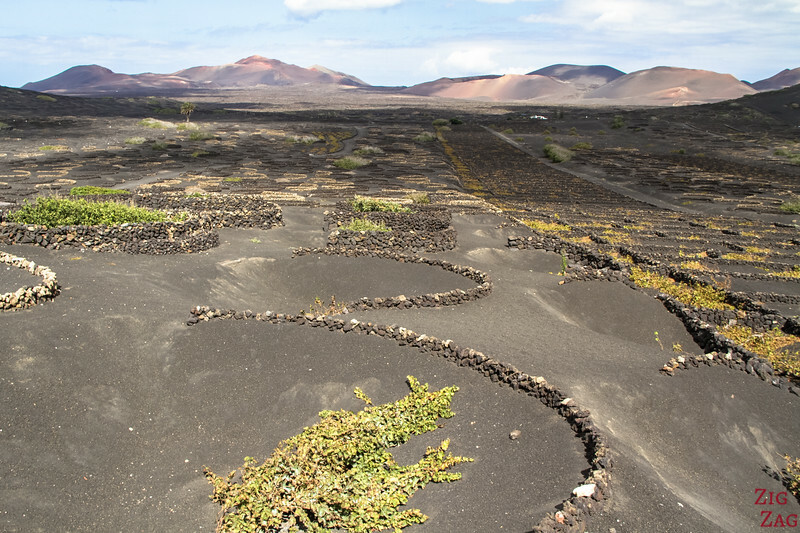 Therefore a lot of the island is covered in volcanic soil: ashes, solidified lava, rocks... Not fertile land! The whole ground is covered in 'picon', a type of small volcanic ash rock. The depth reaches 50cm to 3m, depending on the distance to the volcano. This has the particularity to be able to keep humidity, rain and dew as well as avoid evaporation. It provides just what's needed to grow grapes because there are no irrigation at all any of the vines! 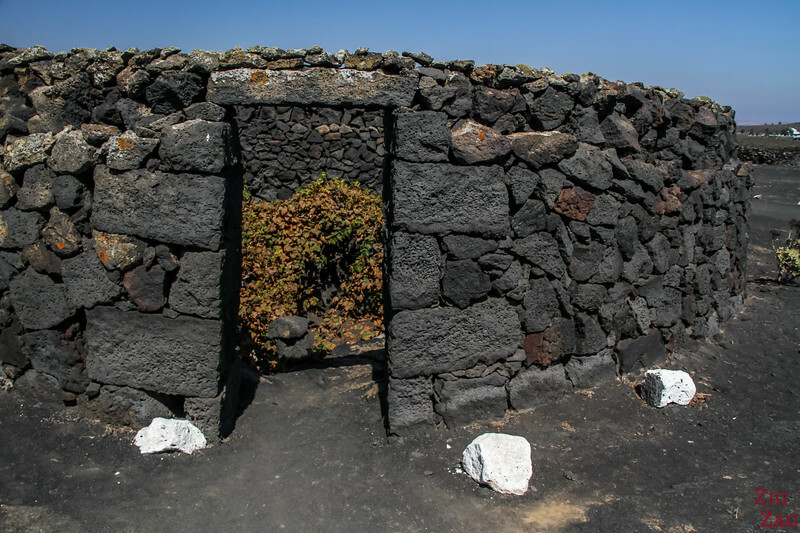 Plus the local have built small walls to protect the plants from the trade winds. So do you want to check them out and taste their produce? They are all easily accessed by cars. 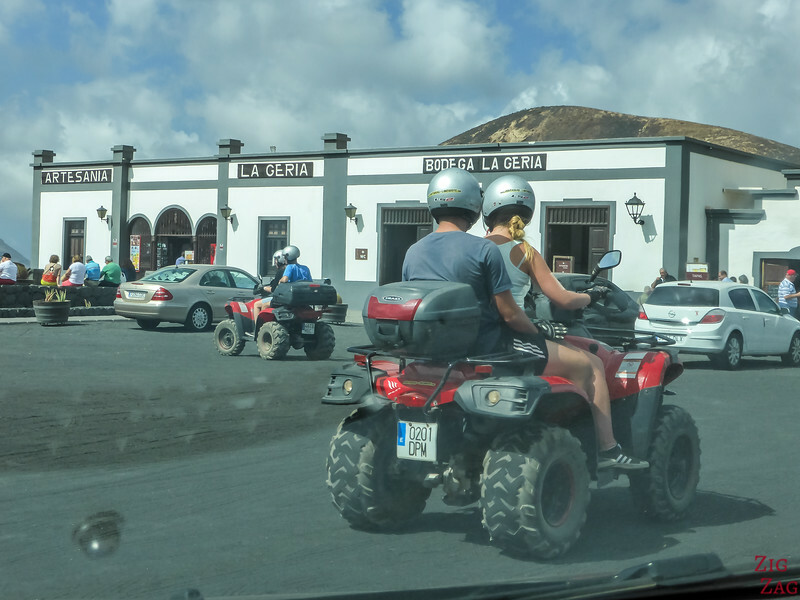 Check out all my favorite Lanzarote excursions on my article here. 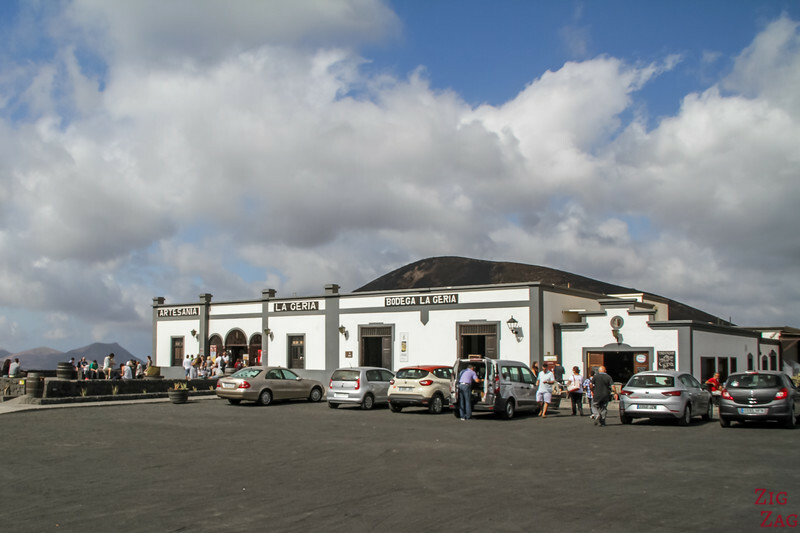 As I said earlier, La Geria is the most visited of the wineries on Lanzarote. It was founded at the end of the 19th century by the Rijo family and is now run by the Melian family. It is located in the Natural park of La Geria. 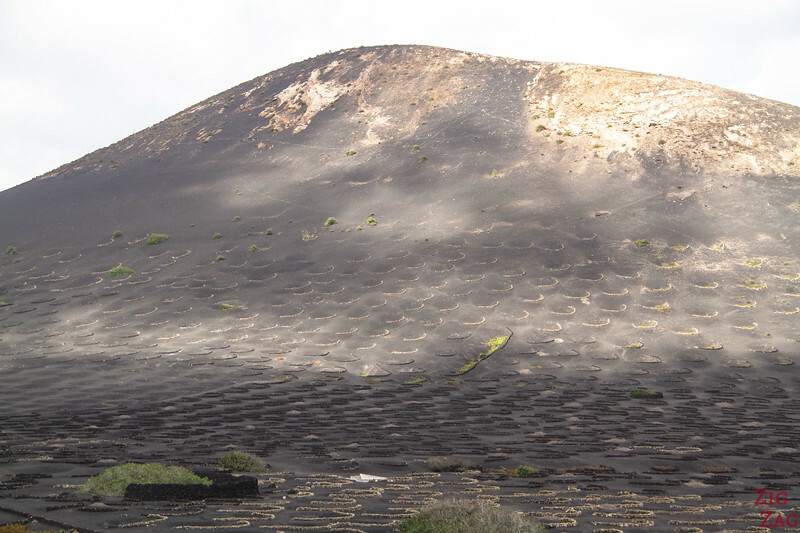 Its barren landscape was created by the 18th century volcanic eruptions. Its most famous wines are sweet muscat and Malvaisa. The shop is free access. I am sorry I did not take better picture. But the best part are the views! From the Bodega building you have great views of the whole valleys with all the semi-circle walls and crops. Even though I think it is not as pretty as the El Grifo vineyards we will see later, it is certainly the most impressive area. It spreads between all the volcanoes for kilometers. My favorite winery was El Grifo. 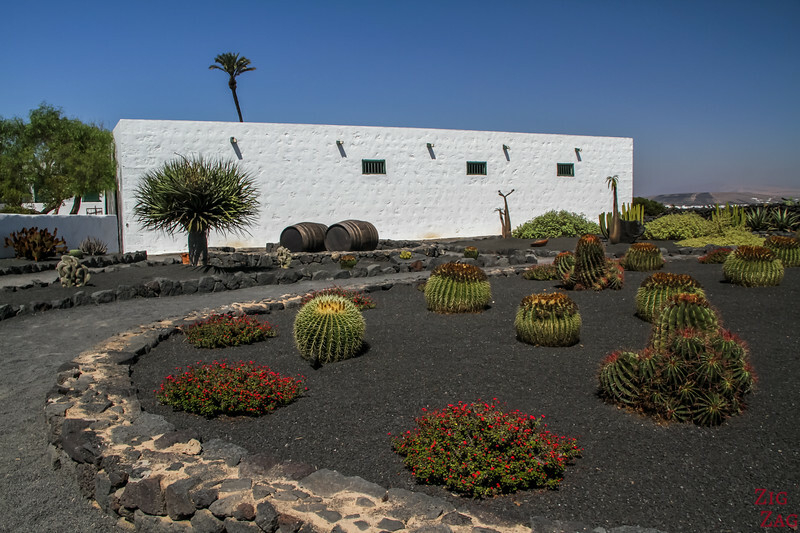 It has a vineyard and a museum about the wine agriculture in Lanzarote. 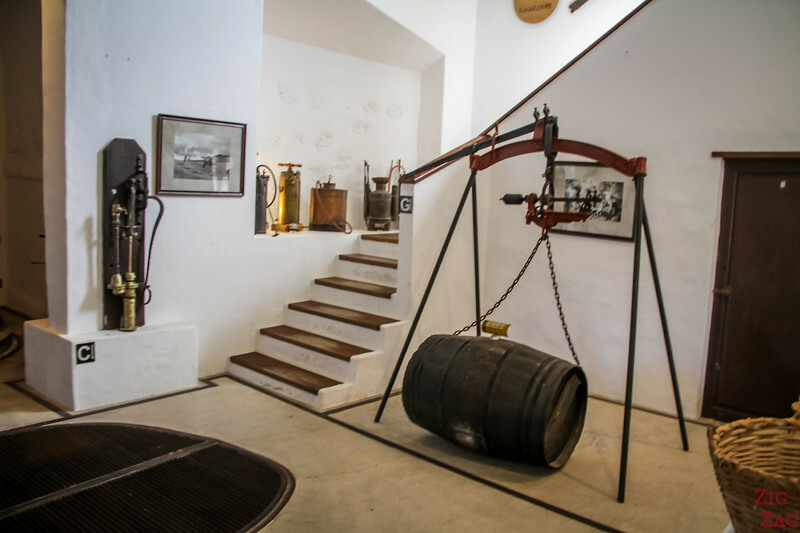 El Grifo is the oldest winery in the Canary islands and one of the 10 oldest in Spain. It is part of the large protect natural park of La Geria but not in the center where the most visited wineries are. The current owners purchased it in 1880. Today the fifth generation is running it. I love that the volcano at the top of the slope with its red colour. It was so photogenic! I love their logo and how they have placed metal version of it against the traditional white building walls. 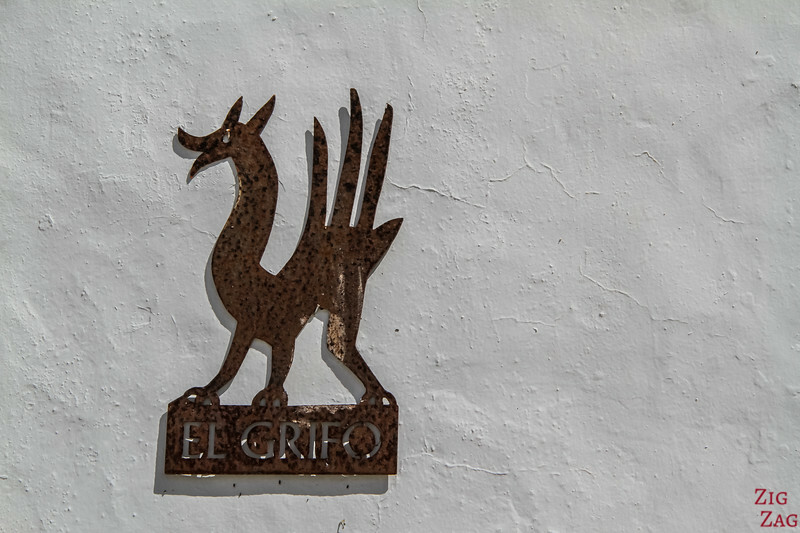 César Manrique created the logo for the El Grifo winery: a Griffin which is a mythological animal half eagle half lion. He also designed the label for the medium-sweet wine because it was its favorite wine. You can see different structures on the 60 ha land: The semi-circle walls, the straight walls and a few bigger circular structures. Because the Phylloxera parasite never reached the island, some of the muscatel plants are 100 to 200 years old. The production is small: around 1000kg per hectare. The bottles of El Grifo wine are beautiful and their products excellent. My brother is the real connoisseur and I brought him back a bottle. He was really surprised and impressed. You can just visit the shop and some products or you can pay to enter the museum and do some tasting. 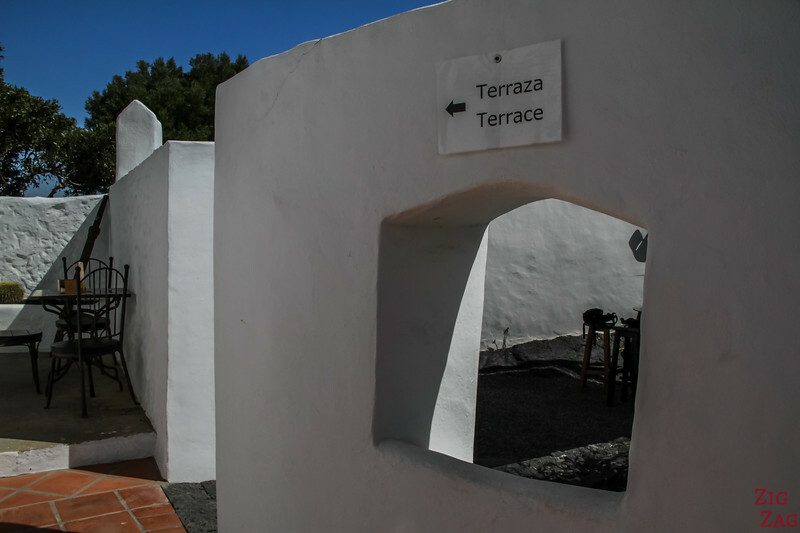 They offer different entry price depending on how many wines you want to taste (starting from 5 euros). And the best part is that they have created different spaces for you to sit and enjoy the tasting. It is very enjoyable and not a tourist machine. 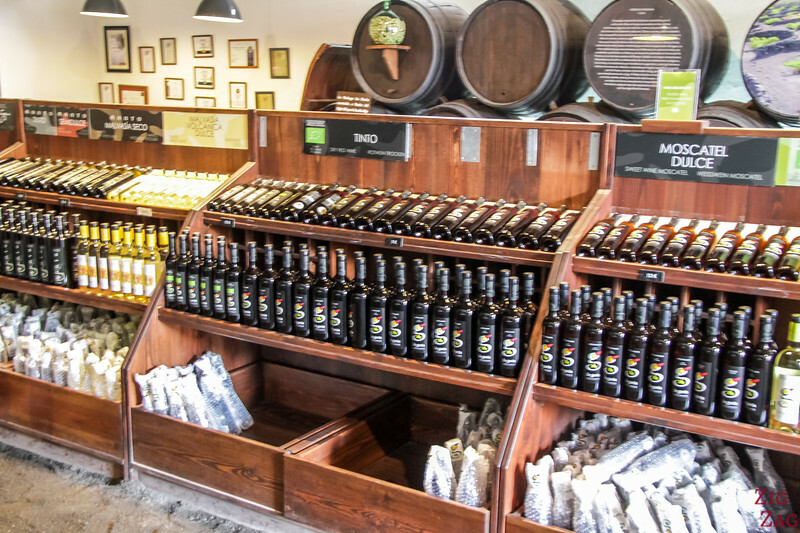 The other advantage of visiting the El Grifo winery in Lanzarote is that they have their own museum dedicated to the wine culture on the island. They have gathered many tools to discover. It is a great activity when it is very hot as you cool down in the white buildings. 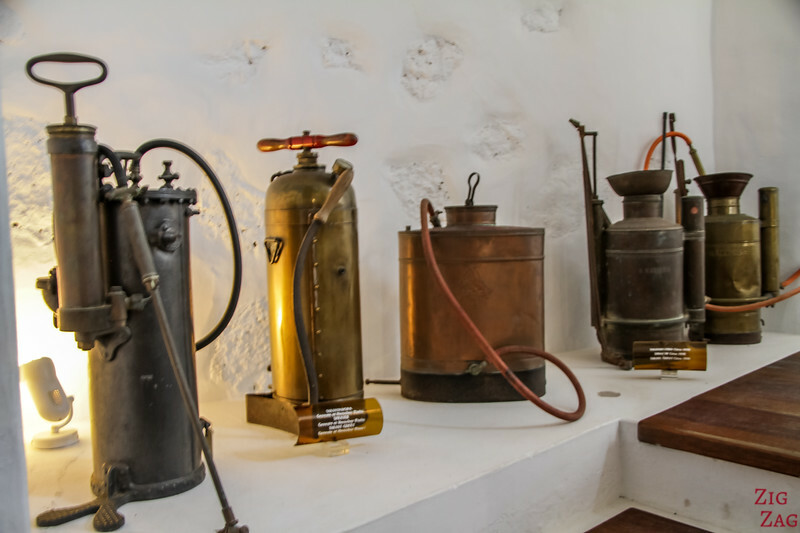 You can visit several buildings with many tools and set up used throughout the periods to produce wine. 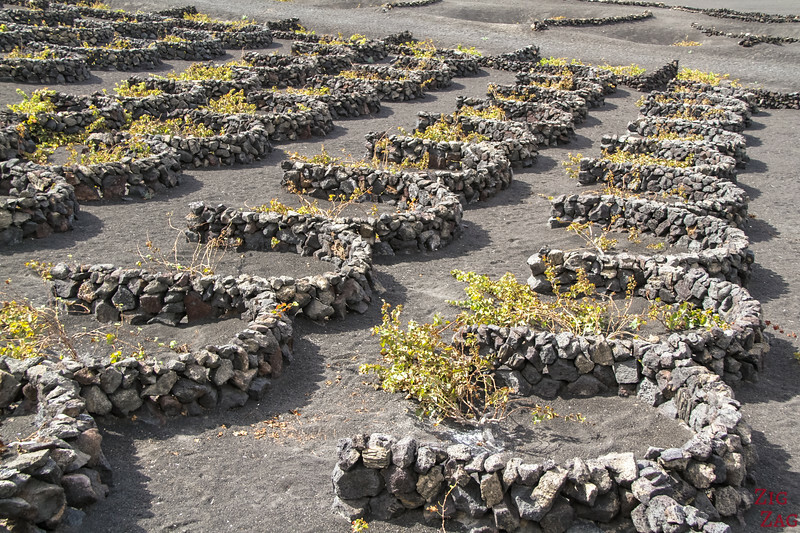 The evolution of the tools and techniques is similar as in other wine regions, but its was several decades behind because of the remoteness of the Canary islands. A small cactus garden was also set up around the museum building. 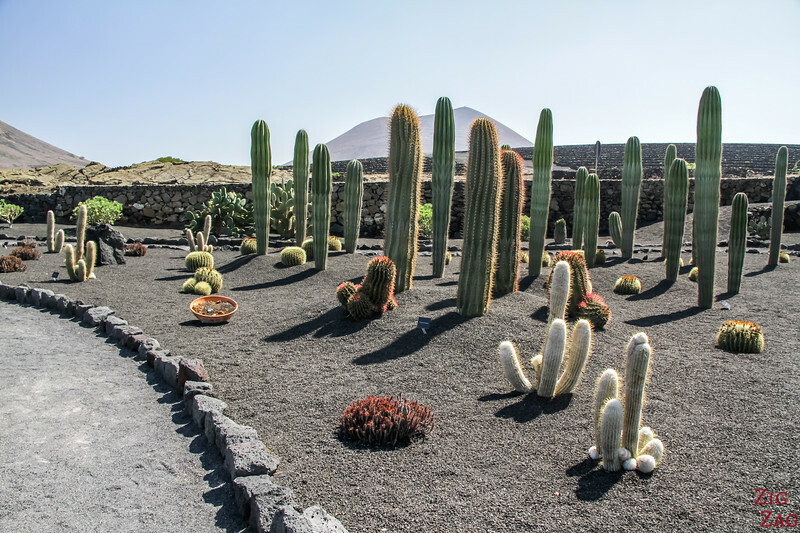 It is not impressive like the famous Lanzarote Cactus garden but it is still quite enjoyable with a few funny species. Coordinates of La Geria and El Grifo wineries are in my eBook.